Stuart Threadgold, of Threadgold Architecture, an architectural firm based in the South West, contacted me after a referral from Busselton Civil & Plant. After having to abandon his website project on a couple of prior occasions due to lack-lustre customer service, Stuart was tentative about entrusting the Personify project to a smaller web design studio. I had numerous discussions with Stuart prior to securing the opportunity to design the web site for threadgoldarchitecture.com.au. Stuart’s main concerns encompassed whether a Personify site could compete on site performance and search engine ranking parameters, versus website builds costing two and three more than what Personify had quoted. Through a comprehensive briefing phase prior to commencing work on the project I was confident that Personify could deliver exactly what Stuart had wanted — a contemporary, feature rich website, akin to presenting the work of one of Western Australia’s top architects. The result for the Busselton architect is a website that offers a unique user experience, performs outstandingly in both speed and function parameters, and has ranked on the first pages of Google for industry related search terms in the south west region, in a very short period of time. Threadgold Architecture started outperforming long established architects in the south west in a matter of weeks since the website launch. As with any of our clients, we encourage you to contact them first-hand for an honest review of our service delivery prior to making your final decision. 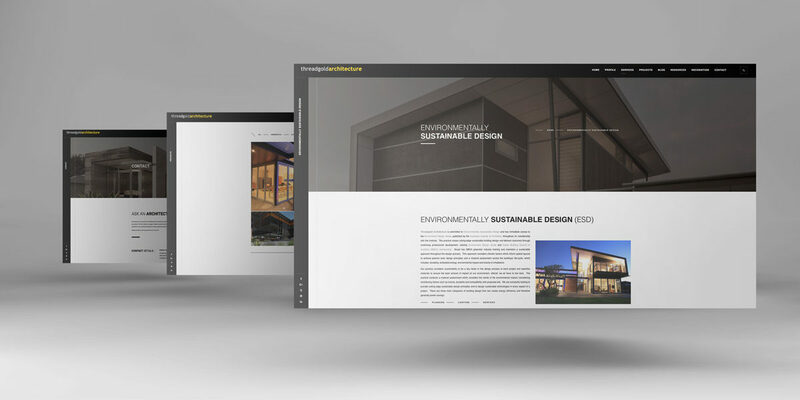 You can view the Threadgold Architecture website here.